Product consistency is essential for brand integrity and consumer satisfaction and loyalty. Manufacturers rely on batch control to manage different types of materials and transfer them onto weigh platforms as well as weigh each ingredient. A weighing system that accurately and reliably measures ingredients and transfers them to batches is a critical part of the manufacturing process, and it can be automated, manual, or a combination of both. Manufacturers have traditionally relied on batch solutions based on a programmable logic controller (PLC) or a distributed control system (DCS). While these systems are well-suited for processes in which end-products are fixed, they lack flexibility for times when there are ingredient switches or recipe changes. Introducing such changes requires new code writing and additional start-up time, and this can tax the limited resources of small- to mid-size operations. 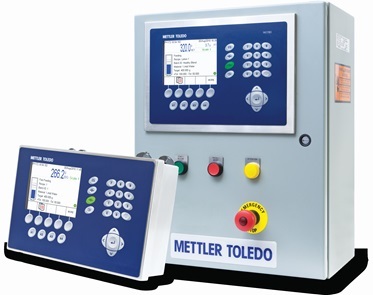 Manufacturers can simplify batching by choosing a dedicated controller that combines both weighing and transferring functions within a single unit. A stand-alone batch solution with built-in industry control standards allows for modular production across multiple locations and plants. It also simplifies user interfaces and minimizes operator training requirements.